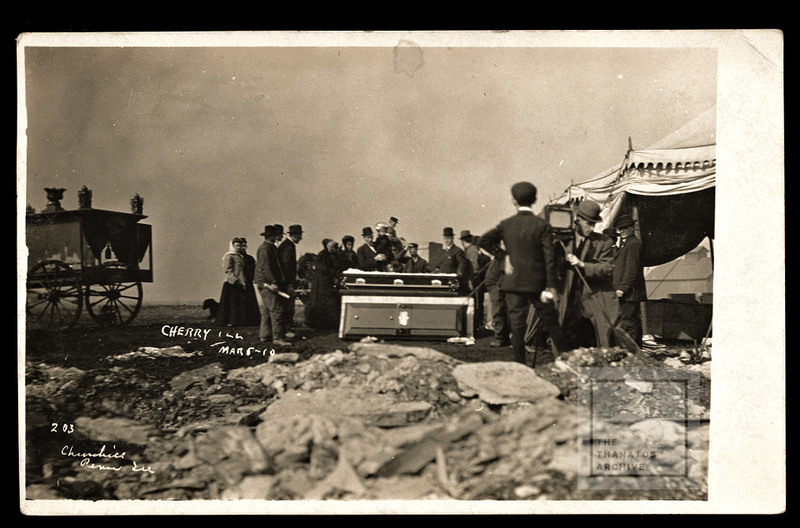 Relatives at an outdoor morgue view the body of a young man who died in the Cherry Mine disaster. He had worked in the mine only two days. The doors of a funeral hearse are partially visible on the left. On Saturday, November 13, 1909, like most days, nearly 500 men and boys, and three dozen mules, were working in the mine. Unlike most days, an electrical outage earlier that week had forced the workers to light kerosene lanterns and torches, some portable, some set into the mine walls. 259 men and boys died. We have several Cherry Mine related images in our Archive. If you are a Thanatos.net subscriber, just type Cherry Mine into the search box to view them. 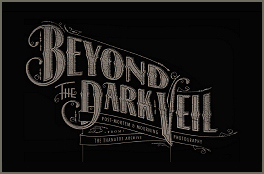 Not yet an Archive member? Please review our membership options here.